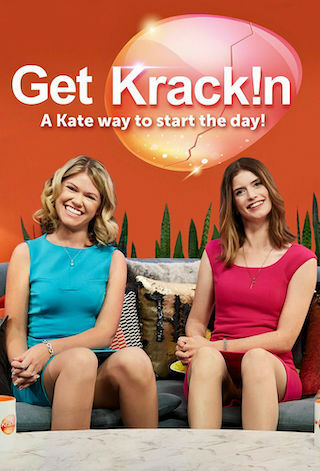 Get Krack!n is an Australian 30 minute scripted comedy television series, which kicked off on August 30, 2017, on ABC and is broadcast every Wednesday at 21:30. The show is currently in its 2nd season. ABC has officially confirmed the renewal of Get Krack!n for Season 3. The exact release date is yet to be announced so far. Sign up to track it down. Each morning the Kates will shuffle through a roster of unsafe demonstrations, surly guests, underprepared experts and the over-lit decomposition of the duo's already rocky relationship. McLennan and McCartney will leave no cultural touchstone unturned, even though they are in no capacity qualified to speak on them, or on anything for that matter. As always, neither of the women has any sense of on-camera technique; while McCartney's Daria-esque enthusiasm is a total mis-match to the bright and breezy format, McLennan's hosting is imbued with a fetid air of desperation. The show should be McCartney and McLennan's big break, but like any televisual format that the Kates put their rough, manly hands to, things on Get Krack!n will go downhill fast.